What these performances would have entailed and how they would have differed remains unclear. 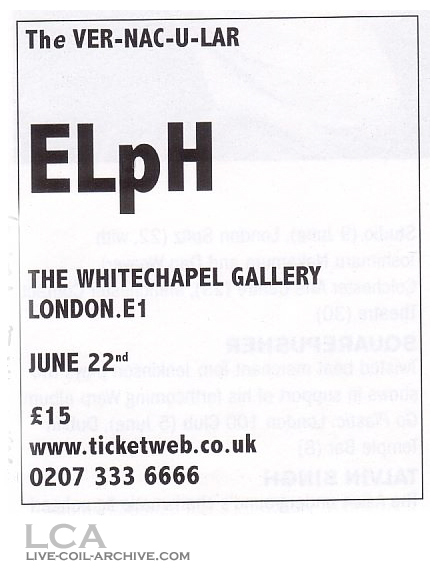 It is not known if the band intended to revive the entire “Time Machines” set for the June 23rd show. 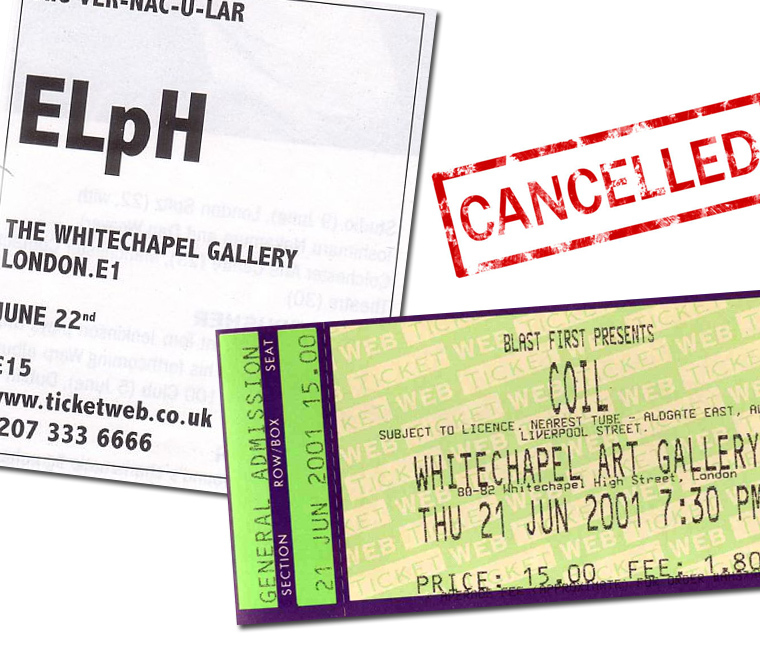 All events were cancelled in May 2001. Technically, this gig was never officially planned. It was just a rumor. This tour was to be 5-6 dates. It was cancelled due to John’s sudden heart attack and replaced with a European tour instead. Planned by September 29th, 2001 as a part of the original tentative post-“Constant Shallowness Leads to Evil”-era touring schedule. This was the only show from this iteration of the schedule which was never rescheduled. Planned by October 29th, 2001 as a part of the second tentative post-“Constant Shallowness Leads to Evil”-era touring schedule. Coil never played in Brussels or in Holland. This gig was announced on February 3rd, 2002, but was moved to Vooruit, Ghent, Germany on February 13th. Planned by January 3rd, 2002 as a part of the final post-“Constant Shallowness Leads to Evil” era touring schedule, which included all the April shows that eventually came to be. 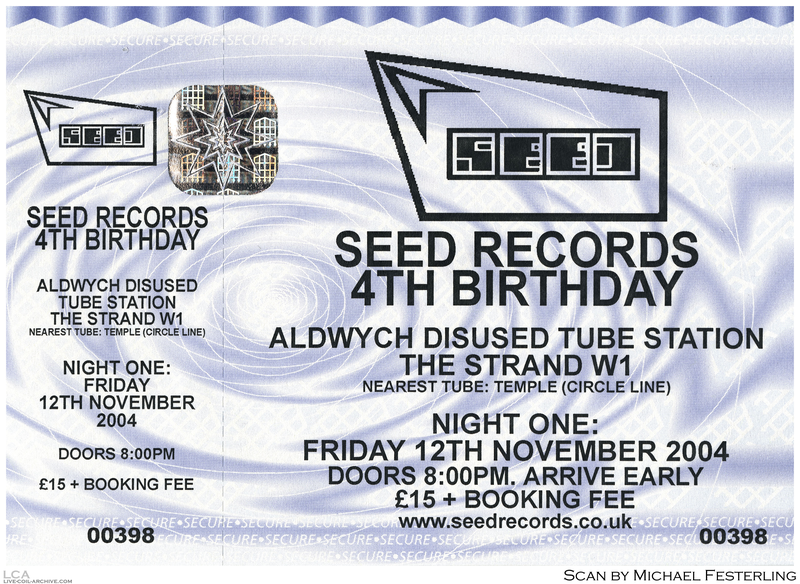 This was the only gig from that schedule to never take place. 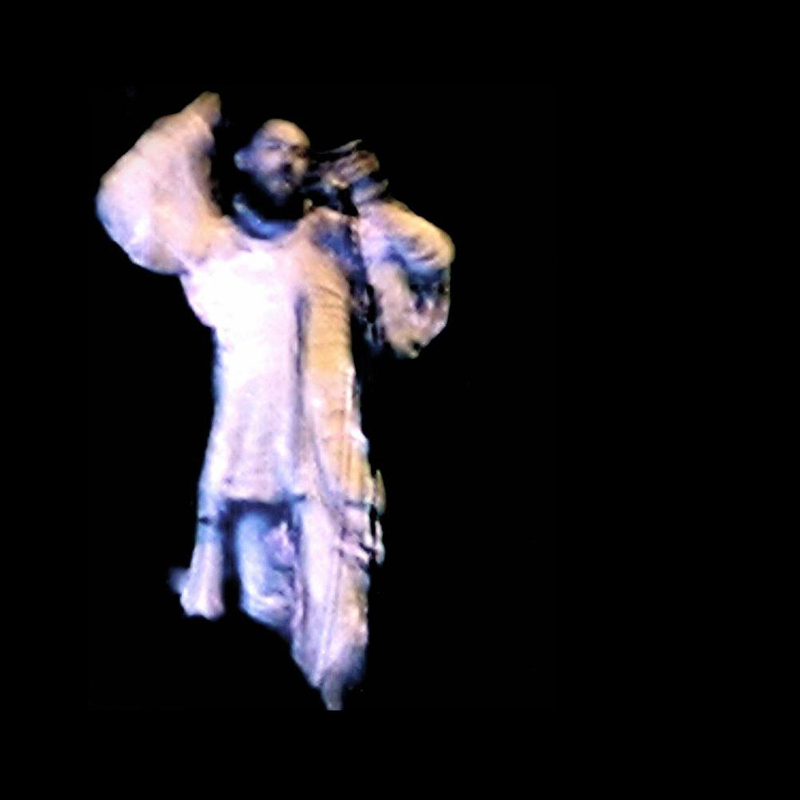 Planned by September 25th, 2002 as a part of the “Live Four” and second European tour. Likely cancelled due to John’s degrading mental health and increasing addiction to alcohol and other drugs. Technically not a Coil gig. 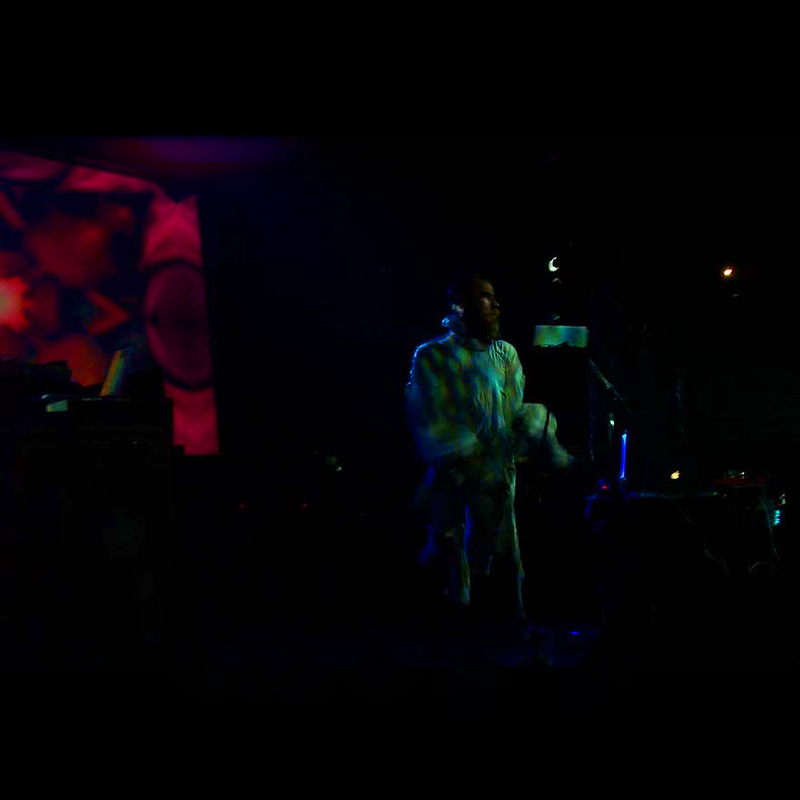 This was to be Plastic Spider Thing’s 12th ritual performance, which Coil were to take part in. Unfortunately, Massimo and Pierce withdrew from the performance once they learned on November 2nd that the Italian border tightened their security in preparation for the Social European Forum meeting in Florence. Reported by John on December 12th, 2002 in Solar Lodge, the Coil Soulseek group. Bablicon were set to open for them. 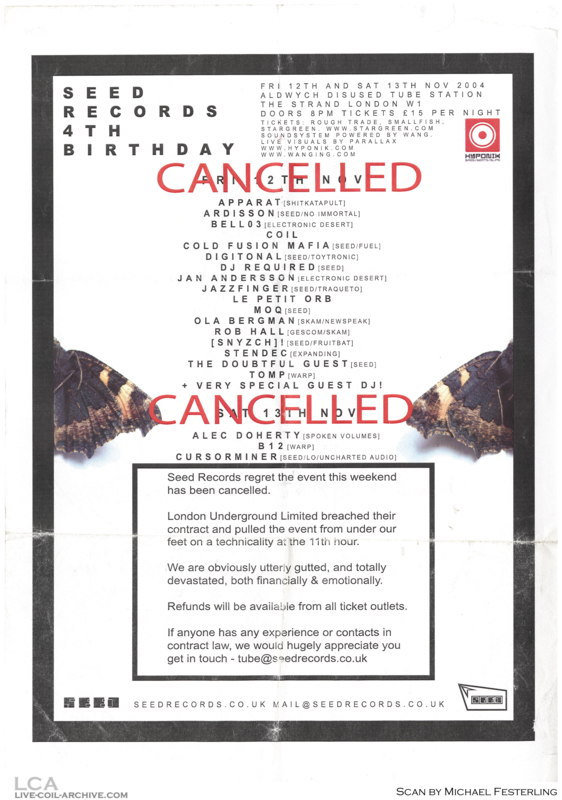 It’s unknown how far this plan got, whether it was ever set in stone at all, but the fact they had a support band lined up leads me to believe it’s fair to call this a cancelled gig. Planned by April 26th, 2004. Cancelled for unknown reasons. Announced on November 10th, 2004. Cancelled due to John’s death.